Because Twitter is not a public company, it is hard to get an up to the second handle on its valuation. With the absence of hyperactive traders changing the value of a company with each second of the trading day, financing rounds or private transactions are often used to determine how much a company is worth until the day it finally has its initial public offering. Take Twitter. One of the most well known apps on the desktop and mobile space, Wall Streeters salivate as though a damn has burst when they think about taking the messaging firm public, the same way they used to drool over Facebook. And yesterday's introduction of Vine, a service that plays an endless loop of 6 second videos that you've created, could end up pushing the value of Twitter up even higher. So just how much is Twitter worth? Based on an offer made by investment firm BlackRock to buy the Twitter shares held by two early Twitter employees for $80 million (uh, make that ex employees if the deal closes! 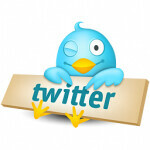 ), Twitter has a valuation of $9 billion. That would represent a 10% increase since the last time the company raised money in 2011, but would be a decline from the $10 billion and$11 billion value placed on the company after two secondary stock transactions in 2012. 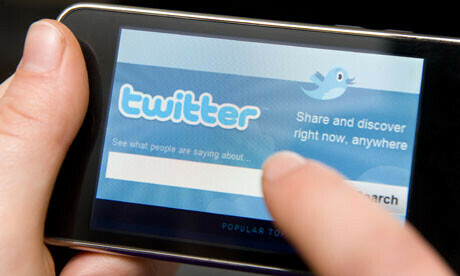 The $9 billion valuation works out to roughly $643 million for each one of the 140 characters each tweet can contain. Twitter refused to comment on the report. 7:01p.m. I am such a f***ing narcissistic freak that I am starting a twitter account 7:04p.m. taking a s**t 7:15p.m. not listening to my imaginary girlfriend while i look at my 15 new followers yay! 8:00p.m. my girlfiend left me, oh well more time for twitter, and tomorrow....FACEBOOK! What the hell has this f***ing world come to? Hey kids takes your eyes off of these life sucking social networks and get out into the real world and live! I wish I was that rich A person sure can dream!